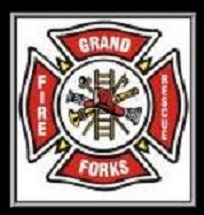 Preparedness Week is here, and Grand Forks Fire & Rescue has some flood safety-tips. Before a flood you’ll want to ensure you have appropriate insurance coverage, and have an emergency supplies kit stored in a waterproof place. You should also raise your furnace, water heater, or electrical panel if they’re in flood-prone areas of your home. He says if you do find yourself having to walk through water, use a stick to check the firmness of the ground ahead, and avoid moving water. Before flooding occurs you should also be prepared to evacuate, including filling your gas tank, unplugging appliances, and placing valuables higher up. You can also construct barriers to protect your building such as levees or flood walls, and seal the basement walls with waterproofing compounds. If time allows, you should call someone to let them know your whereabouts during an evacuation, and check that your neighbours don’t need a ride as well. The fire department will be present for Friday morning’s Hot Dog BBQ, and Saturday morning’s activities. Piché adds to avoid returning home, and cooking and drinking tap water after a flood, until authorized. You should also be cautious entering buildings that may have hidden structure damage.